Past, ongoing and coming projects. A of 53 works of Ann took place in Toyama 22 july – 4 november 2017. 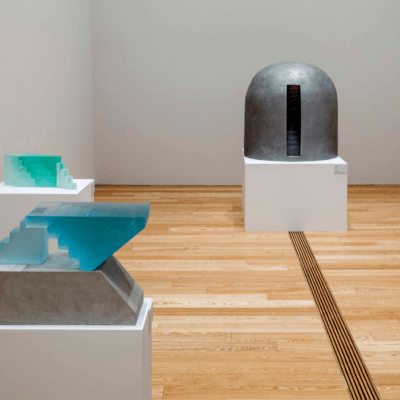 The exhibition shows works of glass, metal and drawings from 1971–2016. 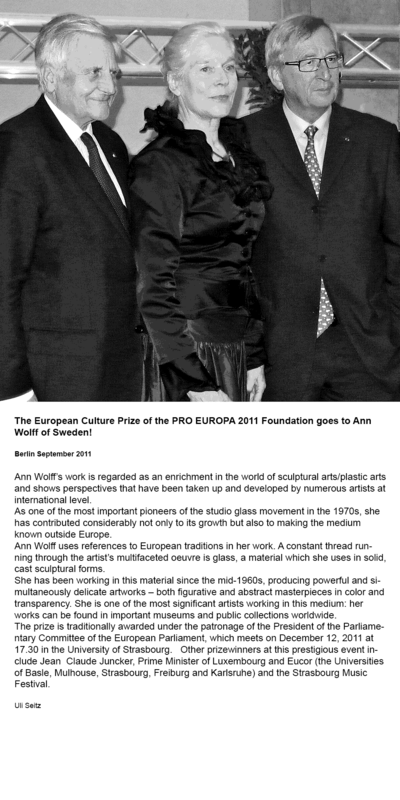 The European Culture Prize of the PRO EUROPA 2011 Foundation goes to Ann Wolff of Sweden! Ann Wolff uses references to European traditions in her work. A constant thread running through the artist’s multifaceted oeuvre is glass, a material which she uses in solid, cast sculptural forms. She has been working in this material since the mid-1960s, producing powerful and simultaneously delicate artworks – both figurative and abstract masterpieces in color and transparency. She is one of the most significant artists working in this medium: her works can be found in important museums and public collections worldwide. The prize is traditionally awarded under the patronage of the President of the Parliamentary Committee of the European Parliament, which meets on December 12, 2011 at 17.30 in the University of Strasbourg. Other prizewinners at this prestigious event include Jean Claude Juncker, Prime Minister of Luxembourg and Eucor (the Universities of Basle, Mulhouse, Strasbourg, Freiburg and Karlsruhe) and the Strasbourg Music Festival.